As the security risks for enterprise networks get more complex it only follows that security measures taken against them follow suit. 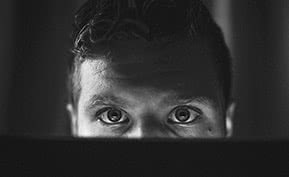 If you’re feeling more than a little overwhelmed by all the micromanagement, help is on the way in the form of the AlgoSec Security Management Suite. AlgoSec chairman, president and CEO Yuval Baron took the time to explain to us how his company seeks to make network security policies easy to manage once again. AlgoSec’s mission is to help organizations reduce network security complexity by automating security policy management. We work with some of the largest organizations in the world (such as British Telecom, Citi, British Petroleum and General Motors), to automate operations of security devices such as firewalls, routers, switches and web filters), streamline security change workflows, simplify audits and ensure compliance, maximize service delivery and availability of business applications–all while also delivering tighter security policies to improve the defense against rising cyber-attacks. We are committed to the success of every one of our customers and offer the industry’s only money-back guarantee to put the onus on AlgoSec to deliver. 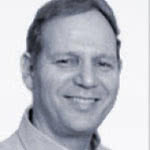 I co-founded AlgoSec in 2004 with our CTO, Prof. Avishai Wool. Previously, I founded Actelis Networks, a telecom company in Freemont, Calif. During my tenure until 2002 we raised $75M. Currently they have tens of millions in revenue. After I handed the CEO role to my partner in co-founding the company, I met with Dr. Avishai Wool, who had worked for AT&T Bell Labs and done post-doctoral work on managing security policies. We identified this security policy management market and saw it was a green field. After some initial conversations with venture capitalists, we decided to build the company based on our own revenues, rather than outside capital. Today, AlgoSec has built up a strong financial infrastructure to support the continued growth of the company–yet we have no outside investors, no loans or debt. 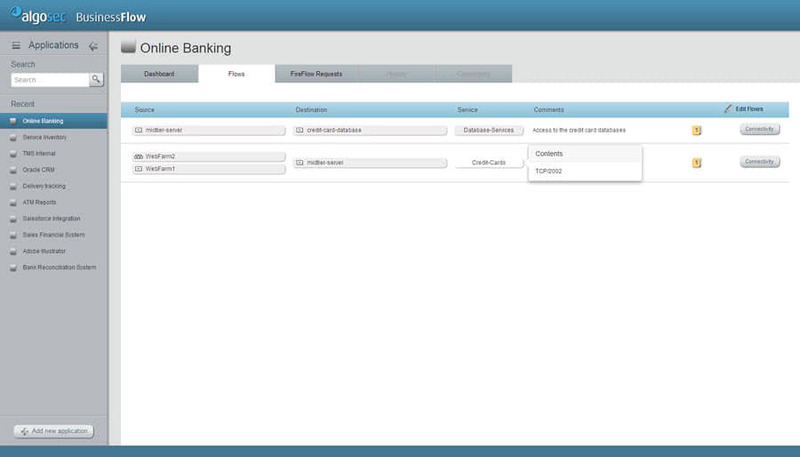 Application Desktop screenshot: This screenshot depicts the dashboard for a business application in AlgoSec BusinessFlow, the latest addition to the AlgoSec Security Management Suite. We offer a more profound technology that enables organizations to align key stakeholders from security personnel to network operations teams to business application owners. We provide a better customer approach (i.e. our industry-only money-back guarantee). Part of AlgoSec’s corporate culture is to partner with our customers to ensure a long and prosperous business relationship. In addition to being the CEO and co-founder, I am our Chief Customer Satisfaction Officer (CCSO) and spend a lot of my time following up with customers to ensure they are satisfied with their AlgoSec implementation. I believe that our unique approach is why AlgoSec has more deployments with large enterprise customers than any other company in our market segment. For example, there are very few manufacturers who have video testimonials by happy customers of the caliber such as British Telecom. Additionally, we put a focus on hiring the right employees. I hire only people who are better than me–at least in their area of responsibility, and our employees are not only bright, but they also work very well as a team and are nice in their nature. AlgoSec is truly a global company with 130 employees spread out all over the world. We are based in Boston, Massachusetts, with development in Israel, UK and Singapore and business personnel in four continents. We serve more than 1000 customers including 15 of the Fortune 50. 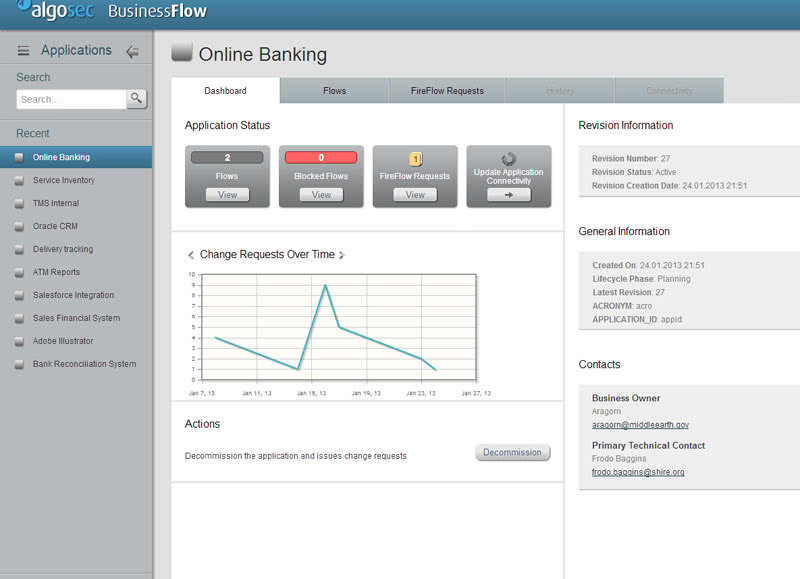 Flows screenshot: This screenshot shows the applications flows from a firewall perspective in AlgoSec BusinessFlow. What does your ideal customer look like: size, sales cycle, etc.? While we can work with customers of all sizes and from all industries, the larger and more complex the network (more firewalls, routers, switches and web filters), the greater value organizations gain using AlgoSec. Sales cycles typically take three to nine months for small-to-midsize deals and twice this time for enterprise deals. Where the segment you operate in headed? Where do you see it in five years? The growing adoption of cloud computing, the massive use of mobile devices and the growing cyber threats introduce new challenges in the area of network security. These trends will create demand and growth in our market space. AlgoSec plans to continue its rapid growth in the coming years both through internal development and sales efforts as well as potential technology acquisitions. Within five years I expect AlgoSec to be the supplier of choice for more than 50 percent of the world’s largest 2,000 organizations, delivering a broad range of solutions to better align security with business needs. We’ll continue help the network security and operations teams constantly improve productivity, quality and business agility while raising the bar of security and compliance through automation. I think the biggest challenge for our segment is market awareness: many organizations still aren’t aware that solutions like AlgoSec Security Management Suite even exist. When we meet with these types of customers at events, listen to their needs and answer their questions, you can see these big smiles because they know they’ve been struggling in a never-ending game where they are always behind–and we solve this problem for them. In general, awareness is improving because of the activities of the various players in our space, and the fact that cyber security has become a hot topic in the press and on the agenda of corporate and state leaders. 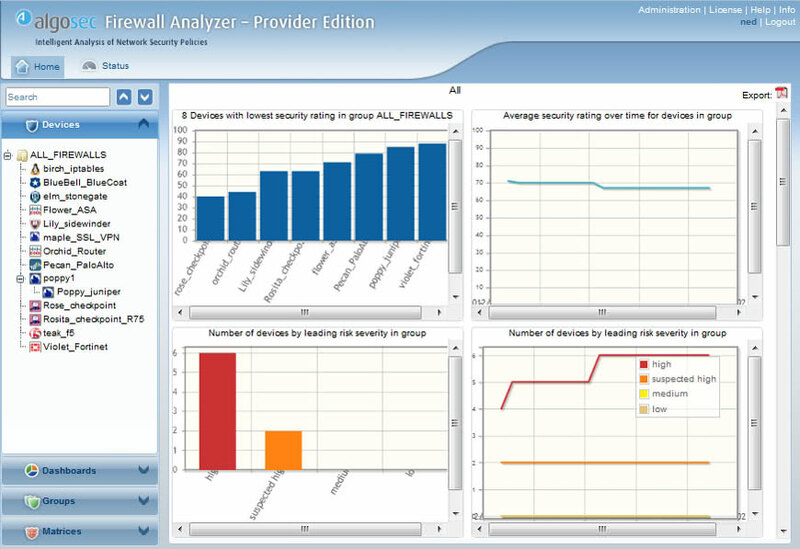 Dashboards screenshot: This screenshot shows the new dashboards in AlgoSec Firewall Analyzer that gives an immediate view of risk, optimization needs, etc. across a group of firewalls. I hoped we could bring a high value yet it took me some time to understand how important we were to our customers. Nowadays we solve major security and operational challenges for some of the world’s largest organizations–helping them automate and improve business processes that cut across multiple groups and stakeholders. Whereas a lot of security software is hard to quantify from an ROI perspective, our software does provide a quantifiable return in addition to the softer, more security value. Hearing our customers state how our Suite takes the heavy lifting off of their shoulders so they can spend more time on security and improving the business than on process and compliance never gets tiring! I think Qualys who is offering security service from the cloud has demonstrated an interesting vision. Palo Alto Networks created a change in the firewall space that eventually affected all other players. Cyber-Ark identified the need around managing privileged users, which is an area of demand. Also I’m lucky to meet many corporate executives among our customers that view AlgoSec as a partner and inspire us to work for them even harder. Want to compare AlgoSec and other IT management solutions? 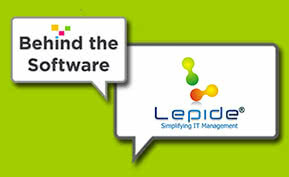 Download one of our free IT management software reports to compare key features, pricing options and deployment models. 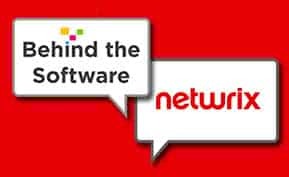 If you’d like to check out more of our exclusive behind-the-scenes interviews with vendors, visit the Behind the Software Q&As page of the Business-Software.com blog.